Light oak bedroom chest of drawers with five storage drawers. 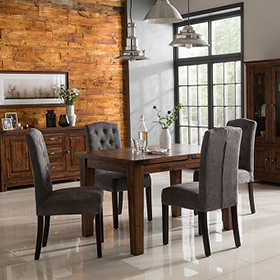 The Salisbury Lite Range offers everything the Salisbury Range does but with smaller dimensions - Our Salisbury Lite 2 over 3 Chest has a lightly distressed finish giving this furniture item a warm rustic charm that only oak furniture can offer. The Salisbury Lite 2 Over 3 Chest represents outstanding value for money. The Salisbury Lite 2 Over 3 Chest is delivered fully assembled. Delivery of The Salisbury Light 2 Over 3 Chest in approx. 2-3 weeks.